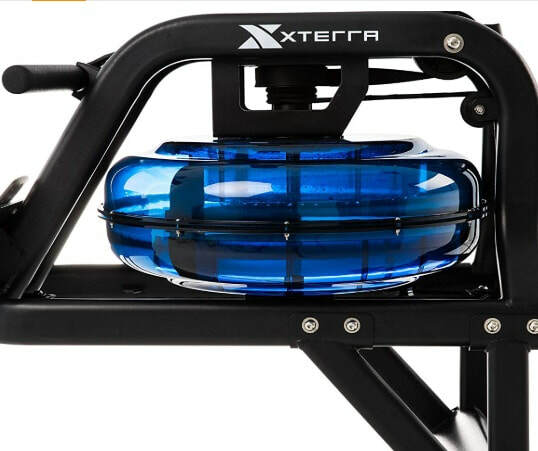 The XTERRA ERG600W Water Rower is yet another in a growing list of budget water rowing machines - and it's not a bad addition at that. First impressions is that it certainly looks up to the job with its sleek, steel frame. A lot of people complain about needing a degree in mechanical engineering to put some of these rowing machines together, but you needn't worry about this model. Two people should be able to assemble it in 30 minutes, and one could do it in around 45 minutes. 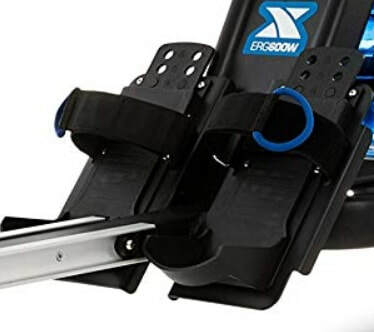 The ERG600W uses a similar frame as First Degree's Newport and Neptune rowers and is steady at high stroke rates and is capable of supporting a user of up to 300 lbs. 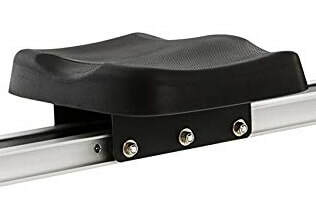 The rowing position is good with a high seat (good for your knees), a comfortable seat, good width and well-padded handle, and long, wide footrests with a secure straps. Our only beef (a slight one), is the seat roller was a little noisy on the rail, but it was a smooth ride all the same. The long rail makes this rower suitable for the tallest of users so you can get the full technique. Resistance is provided by the water in the tank. As you pull back on the handle, the blades in the tank spin against the water giving the impression your oar is fighting the river. Some machines of this type have adjustable resistance by turning a knob on top of the tank (such as the First Degree Monaco) but that does over two the price! With budget rowing machines you have the option of raising or lowering the water level to achieve this. 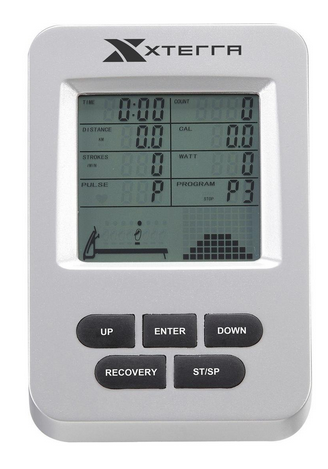 The ERG600W has six levels of resistance with lines marked on the side of the tank. Once you've worked out which resistance level suits you, it's best to leave it at that. You can vary your workouts by increasing/ decreasing your strokes per minute - much less hassle than messing around with the water level. And when you've finished your workout, the machine can be tilted upwards, rolled away and stored vertically and takes up only a small footprint. The monitor is powered by two AA batteries (which are actually included!). It has a 5.5" LCD screen that can be adjusted to your eye-level that makes it easy to read. The monitor is heart rate compatible - but note, it displays your pulse but has no heart rate training programs, and the chest strap is not included. It has some nice features such as racing against the computer and having countdowns for time, distance, calories or strokes. Anything that can motivate is good in our book. The screen display all the usual workout data and has large buttons below to switch modes and reset. Another nice touch is the recovery button for the end of your session - good for a budget rowing machine. 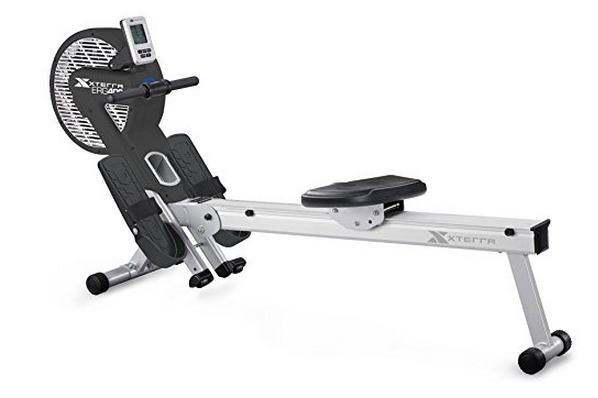 The XTERRA ERG600W is well-worth considering if it's within your budget (but don't forget to add around $30 for a chest strap if you want to see your pulse rate). 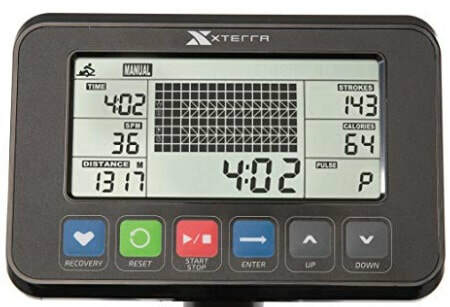 It has some good features for the price, is a sturdy machine that has the feel of a reliable rower that should last for some time. And for the current price it's excellent value for money. Not so long ago you wouldn't find a water rower in this price range, now you're almost spoiled for choice. 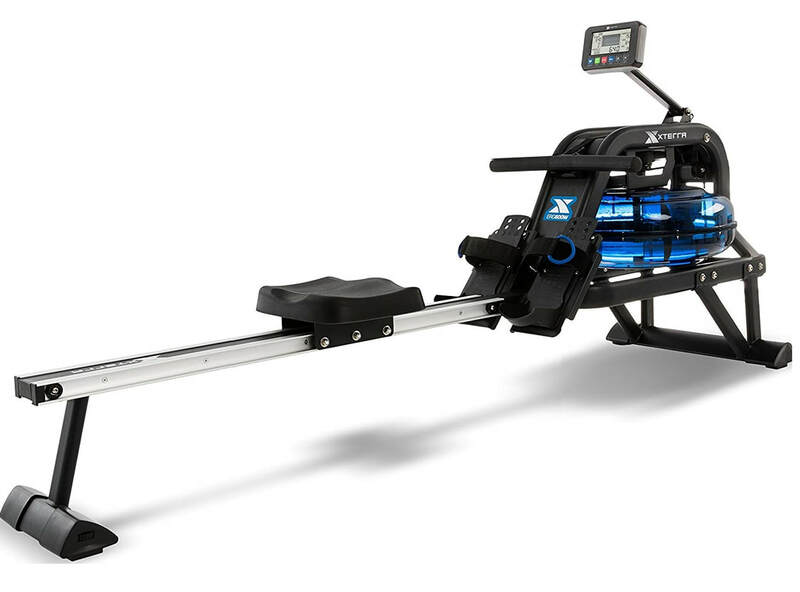 Alternatives include the pretty impressive for the money, Sunny Obsidian Surge, or if space is a little tight, try the Stamina X Water Rower.